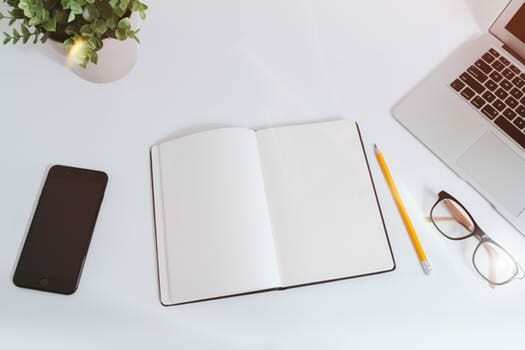 While there are a lot of strategies involved in closing notes, it is not a complicated business if investors take time to go out and educate themselves instead of planning everything right from the get go. Every note deal can go from a great performer to a foreclosure, and a foreclosure can end up to a modification. With the KISS method, there is no need to rush in to things and risk triggering unexpected results. Find out why overanalyzing systems and solutions can talk your way out of good deals. Keeping it simple and being patient with the process can mean a bigger income. Our topic is something that I feel a lot of people struggle with. I see a lot of over analysis paralysis. I see a lot of people making things much more complicated than they need to be in the note business. People have to sometimes just take a deep breath and relax, which is easier said than done. This is why our topic is all about the KISS method. If you don’t know what a KISS is, it doesn’t mean that you’re making out with your borrowers or your friends or families, it depends how close you are. What I’m trying to get at is KISS stands for something very simple: Keep it Simple, Stupid or Keep it Simple, Silly. It’s not a complicated business. In the note business, you have a lot of moving parts. You have a lot of interesting things going on. You have a lot of different strategies. Each note deal is individual in its own nature. You may have a great re-performing happen that you thought it was going to be a foreclosure. You may have a foreclosure that turns into a modification or short sale. It’s not going to be easy. You just don’t know the way it’s going to go. This is why it’s very easy especially in the frontend and I see this happen in a lot of new real estate investors. They try to plan for everything on the frontend and there’s no way you’re going to be able to plan for everything in the frontend. I see a lot of over analysis paralysis. I see a lot of people trying to categorize and structure every deal from the get-go. They often end up talking themselves out of good deals because they over analyze everything. We saw this very easily at the Note Mastermind group. People doing bids and one group would come in at a price and another one will come in way, way low. I’m like, “Why did you guys come in way, way low?” “Just because all this other stuff could happen.” I’m like, “The likelihood of those weird outlying things happen is pretty rare.” Will it happen occasionally? Yes and this is a numbers game. The note business is definitely a numbers game out there. You’re going to reduce your risk the more you buy because you’re going to be able to spread your risk over multiple assets and multiple case studies and things like that. For new people, new people are often going through this really complicated, difficult ROI calculation thing. I have an ROI calculator, I’m not going to lie to that. If you are overanalyzing or trying to figure out exactly what your ROI is going to be down to the penny, and you haven’t even gotten a realtor go by to give you true value. You don’t know if it’s occupied. You don’t know if the utility’s on. There is no reason to waste your time on that. Honestly, the biggest filter when it comes to note investing, the biggest filter besides the state that it’s in, is if it’s occupied or vacant. If it’s occupied, you have a lot more exit strategies. If it’s vacant, you’re going to foreclose, deed in lieu and that’s about it and turn the asset as an REO. If it’s a vacant asset, you’re probably not going to have the borrower fight you. I heard somebody say that they had only performed one foreclosure in their years because instead of foreclosing, they were giving the borrowers Cash for Keys which is great, deed in lieus. Bribing borrowers to walk away, that’s not a bad habit. That’s not a bad thing to do. What you have to realize though is if you haven’t even bought the asset, you don’t even know what the condition of the property is, and then you are literally running every scenario under God’s blue skies, you’re overanalyzing some of the basic things that we like to do. Not everybody agrees with it and that’s completely fine. 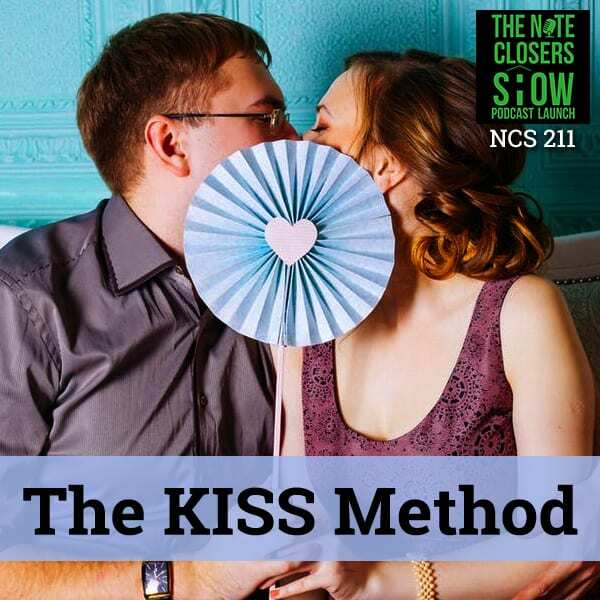 KISS Method: You need to know what your vendor costs are going to be. The basic things that you need to keep in mind is you need to know what your vendor costs are going to be. You need to know what your servicing costs are going to be. You need to know what taxes are going to be. Those are all things that are important in your bottom line. If it’s occupied, you’re going to probably have a 50% chance to get it reinstated or modified. Then the other half is going to be some foreclosure or exit the borrower from it. I see people that are adding foreclosure cost and all sort of stuff. What I do is Iump all that stuff in and just give an average. I see people taking their average and adding another cost on top of this. Let’s talk about the basic cost. Let’s talk about the things you’ve got to realize to keep it simple. If you’re going to foreclose, you’ve got to figure roughly average foreclosure cost. You have to figure out insurance cost on these. Those are the two most important and then taxes for a year. Oftentimes, if you’re going to sell the asset off and it has a lot of taxes, I just figure them paying taxes out of the REO proceeds only as an asset if the REO sale is taken. If they’re behind and they want to pay something, I have to figure that in, that’s going to reduce my bid by that amount. What people are doing is they are taking their bids and they’re taking the high prices. Some of these sellers are offering up and then they’re calculating by cost and it doesn’t make any sense, which I agree on the frontend. If you’re paying above 60% of current market value and if the borrower is in a negative equity position, you’re not going to make any money. It’s going to be a single digit return. This is where you have to change where your focus is. You have to change where you target assets and I see this everyday. I’ve seen this on BiggerPockets. I just had a conversation with someone back and forth, “There are a lot of consumers but no product.” There’s plenty of product. You just have got to go fishing. You’ve got to go to a different water hole. You’ve got to get out versus standing on the pier. So many people are afraid they’d walk out at the end of the pier or actually wade out into the business as I like to say or jump on boat and go somewhere else to go fishing. It’s just hilarious, “I’m only going to do four or five hedge funds.” That’s great. You eliminated what they want and they have well-known sources for assets out there. Every time they can hire a fisherman trying to make things simple or trying to find deals. This is why the KISS method is simple: Keep it Simple, Silly. There’s no reason to run twenty different scenarios on the frontend when you don’t even have a true value, when you don’t even have an occupancy on those things. A lot of people get so scared of countering down. Countering is a normal habit in this business. How do you make a counter? You make it indictable offer based on what you can find online. That gives you time while you’re letting the seller review your bids to go back and pull more information, to pull true values, to call the utilities departments. If you run this big complicated ROI calculator and you don’t have those two basic information, is it occupied or the true value, all you’re doing is just running air. All you’re doing is just wasting time getting stressed out over a strategy that doesn’t make sense. This is why it’s important, this is why we try to only focus on occupied assets. That’s why we do or bang this trying to keep it simple. If it’s occupied, great. It’s usually less work. If it’s vacant, you’re going to have work. Does it happen a 100% of the time where we’re accurate? No. I’ve got four assets right now we thought were occupied, the power is on, they’re vacant which is fine. We’re going to go out, secure the assets. We’re going to work with the borrowers to either do Cash for Keys or have them sign over the property in a deed in lieu status and move around and sell those assets off. If you aren’t pulling the trigger, if you aren’t doing that information in the frontend, you’re trying to run it for calculation, you’re overcomplicating the business. If you’re a brand new investor, there are things you need to know. You need to talk to your servicing company to find out what their ala carte fees are. You need to talk to collateral companies. Somebody is going to file stuff for you and get their cost of doing business, what’s it cost to record, things like that. You need to reach out to insurance company to get a bid whether it’s REIGuard.com or Ross Diversified Insurance, Ed Babtkis over there is a buddy of ours. We use both. If you’re going to bid for insurance, one will be cheaper but then the loan loss will be a little bit more time-saving. Take a look at those things. Your servicing cost, do you need to have somebody in-house like we do with Jen who is handling all the borrower outreach and coordinating with their servicers and the previous somebody to get things transferred over. That can be overwhelming in itself then you ad in the whole of raising capital. 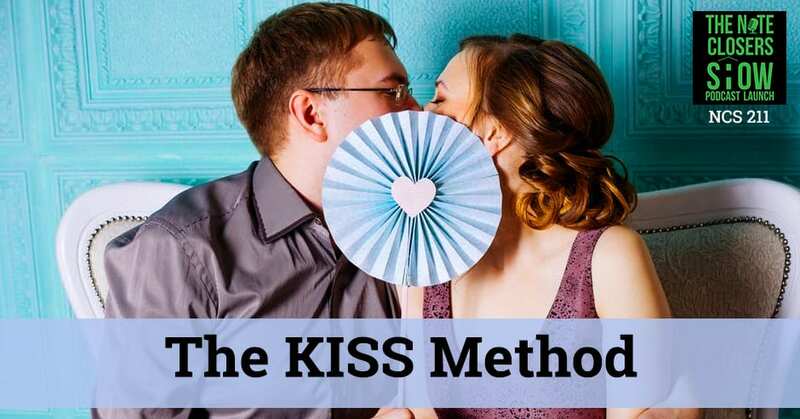 KISS Method: Work through one strategy, work through a case study and work to implement that. One of the biggest things I can tell people to do is just chill out. Work through one strategy, work through a case study and work to implement that. Not the easiest thing to do and I’m not picking on anybody. ROI calculator is extremely important and I have one for myself. What I do is I figure in, “Give me a rough market value of the house. Give me your estimated pricing,” and then what I do is if it’s occupied, I take their existing P&I. If the existing payment is higher than market rent, they’re going to want to probably adjust it down because they’re looking, “I can move out and find some place cheaper.” If market rent is higher, great. They’re going to probably want to keep their existing payment. Taking their existing P&I, Principal and Interest, not the full PITI, but PI times twelve months divided by your estimate purchasing price. Purchasing price is of the note on top of unpaid balance. If they want 55% of value, you’ve got to figure out what’s that 55% converted to the UPB. Is it still a good deal for you? Are you overpaying for the asset and taking twelve months of payments? Figuring out what you’re paying for the note is a rough idea when it comes to calculating your quick ROI. It is not a science. This is why I want that number to roughly be in a 30. Is it possible? When I do have some expenses and ends up bidding down about 20, 24, what I’m not figuring in also is that we’re trying to collect extra from the borrower or trying to get some skin in the game where it’s a $100 extra a month or $200 extra a month. Those numbers go in my calculations after the fact. I want to base my numbers, twelve months of P&I divided by the purchase price to equal at least somewhere around a 30%, 35% yield and then we’d let backed out. That’s on occupied. If it’s vacant, I know I’m not going to get it reinstated that way. I’ve got more expenses. I’ve got foreclosure cost, I’ve got renovation cost, and I’ve got some repair cost. I’m also going to have to throw in some taxes on that. I’m going to have to pay that versus on occupied where tax and insurance should be being paid by the borrower. That’s why if we find out it’s vacant, my ROI calculator changes. I have to be much more strategic in it. If it’s a true non-performing note, do I have to foreclose? Is it a longer foreclosure process? Has the market rebounded back up? That’s one thing that can save you too. If it’s an appreciating market, you have to talk to your realtors to find out what’s going on in the market. The market is appreciating 5%, 10% like it has in Florida for years and other things like that. That will save you missing on every little bit, nibble and bite that could happen if you aren’t paying attention. This is why occupied is really the game because if you’re getting an occupied asset and they can make the payments and they’re working, you do not have to worry about foreclosure cost. This is why it’s important to talk to your servicers, “What’s it going to cost me to foreclose? Give me a rough estimate.” This is why we like to throw a rough estimate if it’s a twelve-month or less foreclosure time or less than twelve months, we figure a $3,500 average cost to foreclose. Then we figure in somewhere between a $1,000 and $1,500 in servicing cost. If it’s in a faster foreclosure state, if I’m buying in North Carolina, I’m not going to add Florida foreclosure cost. I’m going to reduce it down. Then I will figure in roughly like I say maybe $2,000 or $3,000 total between foreclosure and servicing cost to get that taken care of. I’m still going to figure in taxes. I’m still going to figure in, am I going to put some work in the property? This is why I’m not going to be going above 55% or 60% the most for assets. If you start paying above 60%, there’s no skin in the game if you get to foreclose and rehab the property. There just isn’t. Highly discounted notes are going to be notes that are upside down where they owe more than the property’s worth and going direct. That’s the only really feasible way to get a good discount. Going direct to the banks, the asset managers, the people that actually own this. I’m not talking about the chop shops out there. I’m not talking about the hedge funds that are paying $0.70 on the dollar to win a bid because then they can’t sell it below $0.70 because they’re going to take a loss. You’ve got to go direct and this is where I really see the banks, the asset manager and I see people are understanding that. I see the Adam Adams out there who is like, “Lo and behold, this does make more sense.” Wayne Snells and some of the other guys out there, Jay Tenenbaums, the people out there that are buying assets, some are great students. They understand why we’ve been preaching this for years. We’ve been spoiled over the last five years with having some exchanges and hedge funds providing assets but honestly, they’re not doing the works either. They’re not doing the big work, the heavy lifting, going direct to the banks either. They’re relying on the hedge funds and the Wall Street companies to buy these big chunks and then partial them all out in smaller pools. The best thing you can do is go direct to the bank. One of the great things that we do on our virtual workshops, we spend three-fourths of day one going through how to buy bank-direct assets. This is not a complicated process. One thing you’ve got to keep in mind is your money cost too. If you’ve got a 12% return investor or 10% return investor, you have to figure your cost and money along the way. This is why the equity split sometimes makes better sense when you start getting up that 12% range because if you just go 50-50, have them just make half the profits. It may not be 12% but it’s at least better than you being stuck with 12% and paying them and you may be making 3% to 5% because it’s only a 17%, 18% yield. Do you want to still split it and make it worth your time? Really good note investors are understanding what the value of the asset really is so they know, “I can go ahead and get the borrower to fund $30,000 instead of $25,000.” We may not use that $5,000 for foreclosure cost and servicing. We may be able to get them reinstated immediately and still be a good return to the investor at $30,000 versus $25,000. This way I don’t have to go back to the borrower to ask for money. I take that $5,000, which is technically a loan and put it in our slush fund. This will get me happy on a return of $30,000, great. We’ll just put $5,000 in our pocket for expenses and overhead along the way. When you’re brand new, it’s very easy, you’re going to miss something from time to time. The thing is this is a learning experience. 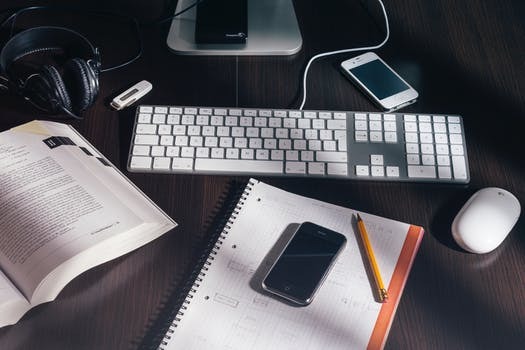 You’re going to learn more by doing your first note deal than you will for doing nothing, than ever going to every workshop and trying to read everything. An important facet though is you’ve got to have patience and I see some people out there struggling with patience because it’s their own fault. They’ve got to have patience. I didn’t become an expert in what I did in three months or six months or a year or two years. I’m still honing my craft on a monthly, weekly, daily basis here with things. If I’m constantly learning and I’ve got to be a little patient to get things done, it is what it is. Rushing into something and doing something just to pull the trigger isn’t always the best thing. You’ve got to sometimes take a deep breath, relax a little bit, learn, go out, educate yourself, take it in and digest, and go from there. If you’re constantly trying to devour everything, you don’t have time to absorb what you’re learning and be able to regurgitate it out into your own business. This is why I always crack up with people that are going from event to event to event to event. If you’re learning in events, when are you actually given the opportunity to implement? Implementation is just as important as education. This is why it’s important to pick up the phone and call the vendors. It’s important to have conversations. This is why it’s great for us. Workshop, we bring on experts but it’s not designed to be your 100% everything. You’ve got to do the phone call, “Tell me what this is going to cost? Tell me about this.” It’s important to keep that in mind because we can give you a lot of great information. We’ve done a lot of stuff but every deal is different and everyone will tell you that. You try to find a cookie-cutter model to what you do and you stick to the basic cookie-cutter model, but a lot of people get sidetracked with these outliers that end up sucking their time out of their business and their life, and that’s not keeping it simple. Keeping it simple is like vanilla. Doing the same thing over and over and over again with the same thing. That’s the easiest way to make money in whatever you’re doing. If you’re trying to spin five, twelve different plates to try to do different things and run around like a chicken with a head cut-off, eventually you’re getting burned out or losing a lot of money because you’re not effective with what you’re doing. This is why we preach and preach and preach on about being focused and not drifting. If you drift, you’re going to lose money every time you drift and that’s the voice of experience speaking. There are times I’ve over complicated my business. There are times that I’ve not kept it simple. I should be kissing myself. Don’t get me wrong. Do we have crazy things that happen here all the time? Yes, we do. We have things, “We’ve got to do this. We’ve got to do that.” It is what it is. I can guarantee you that Greg and Nichole and Jen and the staff, I’ll tell you, it’s never a dull day here for the most part. If it’s a dull day, it’s usually a Friday afternoon or something like that. They’re constantly doing a lot of the same things over and over again and that’s what I think everybody strives for in their business is trying to keep it simple whether it’s your marketing, whether it’s events you’re attending, whether it’s your business model, whether it’s the assets you’re bidding on, try to keep it simple. Try to keep your systems and your solutions simple. Keep your vendors, hold them accountable to try and keep things simple. If they make it difficult every time you buy a note that you have to fill out a piece of paper, that’s not an effective thing at all. I’ve got a phone call from a borrower. I’m like, “Let’s figure it out.” He didn’t give me his name, he didn’t give me the address. There’s not much I can do to help the guy. We have people call all the time. Very excited that we’ve bought their loan, they’re excited to be able to talk to somebody, they’ve got payments ready to roll. It’s the coordination of that. I compared the note business to being like your own general manager of your own franchise. You’re going to pick out your coaches or you’re the head coach and you’re going to pick your players and you run plays, your linemen. We’ll use football as an analogy here. You’ve got a running back, you’ve got wide receivers. You’re not the quarterback, you’re the head coach. Your quarterback could be either your servicing company or your attorneys that are really facilitating what happens with your linemen and your offense and also your defense too. That’s why you want to run a simple scheme to make things run easily. You see this great analogy. You see something that’s complicated in the NFL. It takes a while for that offensive gel together come together. It takes a while for them to be successful. Same thing as the note business. If you want a really complicated and crazy business model and make it really difficult on the frontend, it’s going to take longer to success because you’ve got all these hurdles that you’ve put in front of yourself that you’ve got to knock down. KISS Method: Buy some assets, work through your systems, hone your assets, hone your systems, hone your vendors. The easiest thing to do is buy some assets, work through your systems, hone your assets, hone your systems, hone your vendors, ”What do I do?” Document everything. Give your employees or your staff specific lists of what they do. That’s one of the things we have done. It’s like, “If we’re looking for assets, here’s a list. Go this, this, and this. This is the way to go.” That’s why checklists are a great way. 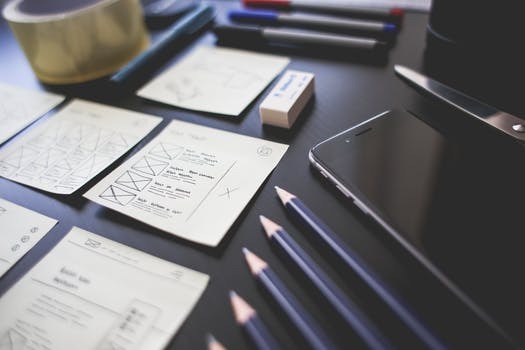 If you’re coming to the workshop, you’re going to need several checklists of what you’re doing due diligence-wise, short and long and exit strategy. What’s the flow of a deal? Where can it possibly go in working through that? If you’re listening on iTunes and Stitcher, thank you so much for listening. Please feel free to share this out there. Please leave a review. We love reviews. It gives us an idea on what we’re working on. We love emails. You can always reach me at Scott@WeCloseNotes.com as well. We’re really, really excited with the amount of success that we have with the podcast and all the great comments we get from our listeners out there. We love our listeners and we’ve got some cool things in the works as little perks to some of our listeners as well. We’ll be out traveling the first of the year and some different things and really looking forward to 2018. Remember, 2017 has been a great year. We’ve actually helped simplify some things making it a lot of more fun and a lot of more easy. I’m leaving you some tools in place as there are some great things. One, BiggerPockets is a great way to ask questions out there. I do troll BiggerPockets to see what people are saying and questions and jump in an answer as best as I can when I have the opportunity. If you are a student of ours, The WCN Crew Facebook page is phenomenal. A great way and the audience is growing rapidly with our past and present students as well. It’s a great networking, a great message board for people to ask questions, network and share stories. I was in Houston. I’m sitting here in the office, we didn’t have an episode. As I’m getting ready to record an episode and I get sidetracked with something. I saw Quest IRA, one of our sponsors, phenomenal and I see Nathan gets on and does his Wednesday webinar on Facebook. I’m listening and watching there and I say, “I look forward to see you,” after a flag pop up for their ugly Christmas sweater party they’re having. “Great to see you.” My staff was like, “The theme you mentioned is tonight. It’s Wednesday night, not Thursday night.” I’m thinking, “I’ve got an event on Thursday,” and they said, “No. It’s Wednesday night.” I’m like, ”It’s tonight. Crap.” I jumped in the truck and run home, change, shower and call my trainer and said, “I’m going to miss today. We have a special thing we’ve planned for Quest,” and run to the store to get that stuff and come back. Steph does a good job putting the other real fast. We customized some champagne bottles for everybody at Quest. It’s a whole staff ,75 to 76 people. I’m like, “I can’t be late for the party. I can’t be late for the party.” I arrived at about 4:30 and they are just setting up and I’m like, “Party tonight?” They’re like, “No. The party in Dallas is tonight silly, not the Houston one. Houston’s party is tonight, Thursday night not last night.” I was like, “I’m a buffoon.” There’s a little chance to hang out with Ingrid and Anne Marie and be with the great staff over there and visit with them and help with some things. I was in Houston for three hours. I’m not going to be back because of the class, so it is what it is. Not yet, sorry. We didn’t talk about that. I’m talking about the virtual event that Quest is putting on. They will send that over to me actually. We are so ready for this with props and everything but it all went haywire. Never dull trying to get some things done here but it is what it is. That’s about all I’ve got for you. If you can do anything, try to find the easiest way to keep it simple. Because often the simplest method is going to be the best way for you. If you make things complicated and over-thinking and overanalyzing, it’s just going to make it more difficult for you, your staff, your vendors, and your investors to understand what the heck are you trying to do. I see people that have posted screenshots or spreadsheets and you can’t even read it because you’re spread out. At that point, you probably need to pick up the phone and give me a phone call and let me work you through your ROI calculator and make it simple for you. If you’re not buying lot of assets because you’re overanalyzing things, you’re either looking at assets that are too expensive or you’re overanalyzing any way to move cost for things on the frontend. I want to wish everybody a great day. Go out and make something happen. I’m probably going to swing up there just for a day, meet with some friends on some business stuff. I may swing by the Quest office and say hi there and check out their new digs there. I’m trying not to travel as much. I’m trying to stay at home as best as I can here because we have so much stuff that we’re working on. January is basically booked. I will be here February, we’ll be in Vegas, New York, maybe Dallas for the third weekend and then San Diego for the end of February for the Traffic & Conversion Summit. Go out and make something happen. We’ll see you all at the top.